The event was run by volunteers from the three clubs on the river, Dittisham Sailing Club, Dartmouth Yacht Club and the Royal Dart Yacht Club, under the auspices of the Joint Regatta Sailing Committee. Dartmouth Sailing Week is part of The Port of Dartmouth Royal Regatta. The week started with the senior dinghy racing regatta at Dittisham Sailing Club and the juniors at the Royal Dart Yacht Club. The yacht racing followed with the traditional Passage Race from Torbay on Tuesday afternoon bringing the fleets around from Torbay ready for the Regatta to start on Wednesday. There were races for youngsters and races for dinghies, Lasers, classic yachts and small day sailing boats, as well as much much more. The prize giving on Saturday afternoon at the Royal Dart Yacht Club was a time for crews to celebrate or commiserate depending on how they had done. Another highlight during Dartmouth Sailing Week was the attendance of Ben Fogle, whose recent challenge to climb Mount Everest has just been aired on ITV. Ben, who was at the Regatta representing Cloudy Bay wines, joined the Dartmouth Sailing Week team at the Royal Dart Yacht Club to give a talk on his recent adventures. 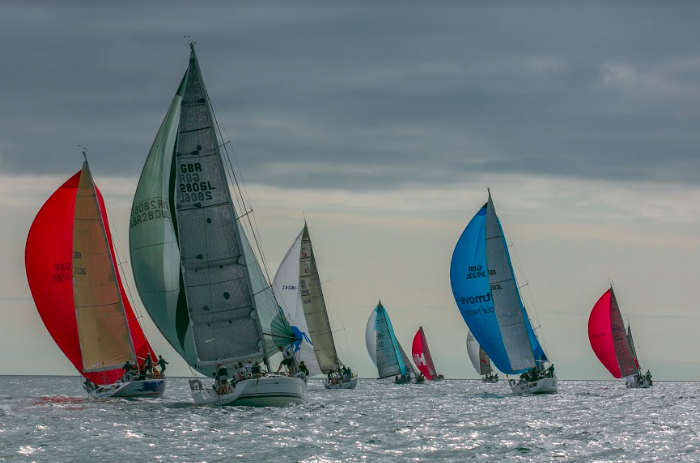 Some of the big names who helped make this year’s Dartmouth Sailing Week happen were sponsors Sunsail, Helly Hanson, Salcombe Gin, Savills, Chatham, Premier Marina, Jelf Group, Paradigm Morton and Dartmouth Holiday Homes. The involvement of such a variety of supporting organisations ensured that the week reached the widest possible audience of sailors and spectators. For further information visit www.dartmouthsailingweek.co.uk, Twitter: @DartmouthWeek and ‘Like’ on Facebook.